Kleptophobia, or fear of theft, can actually be used to describe two distinct fears. The first is a fear of being stolen from or robbed. The second is a fear of stealing from someone else. The two fears are often related and may exist simultaneously. A Negative Event. Both forms of kleptophobia are often, but not always, triggered by a negative event. For example, if you have been robbed at gunpoint, you are at higher risk of developing a fear of being robbed. Likewise, if you have ever been a thief, you may worry that you will fall back into old patterns. Internal Conflicts. Either form of kleptophobia may also be rooted in internal struggles or conflicts. Society does not cleanly divide into abstracts of “good” and “evil,” and defining our own morals can be challenging. For example, most of us were taught as children not to steal, but how many of us actually return extra change that we were given by mistake? It is common to justify small “cheats,” but simultaneously worry that this behavior may constitute stealing, or might even lead to larger and more definitive thefts. Being Ripped Off. Most of us accept that business dealings are not always “fair,” and that we might at times be ripped off. We tend to let small things go in an effort to be cooperative or avoid confrontation. Over time, however, even small amounts of overcharging can cause us to feel victimized, eventually worrying that next time we will be more seriously taken advantage of. The symptoms of kleptophobia vary depending on the type that you suffer. If you are afraid of being robbed, you are likely to develop a defensive posture. 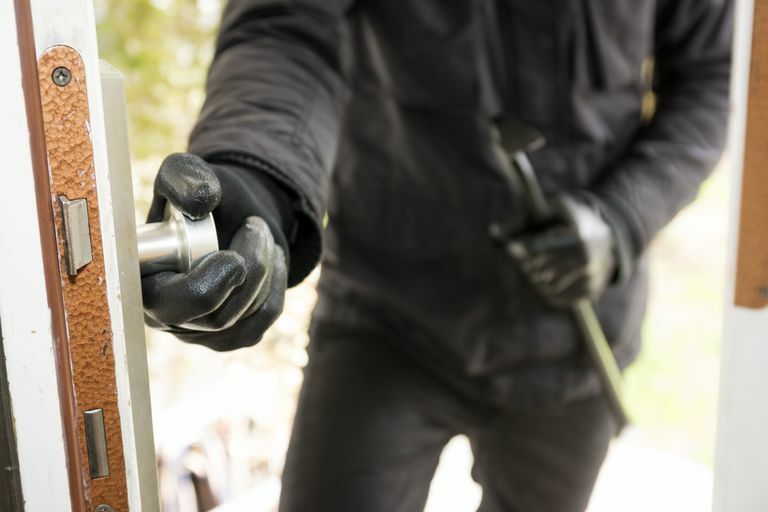 You might lock up valuables before anyone visits, maintain a guarded attitude with strangers and avoid walking anywhere alone, particularly at night. You may obsessively check contracts, avoid loaning money even to close friends or be afraid of large crowds. If you are afraid of stealing from others, you might become scrupulously honest and giving. You might double check received change, refuse to accept loans, and even consciously avoid eating the last serving of any food. You are likely to go out of your way to avoid situations that might tempt you to steal, such as money handling jobs or social gatherings. Some people with this type of kleptophobia find that their fears extend to cheating, and are extremely careful to follow every rule when playing games. Both forms of kleptophobia can lead to isolation, low self-esteem, depression, and other types of anxiety disorders. You might develop social phobia or even agoraphobia due to the fear of exposing yourself to what you perceive as high-risk situations. It is common to develop feelings of worthlessness and shame. Like most phobias, kleptophobia can be successfully treated using a range of techniques. Cognitive-behavioral therapy: This type of treatment helps you learn to stop your negative self-talk and think more logically about theft. You will also learn new behaviors and coping strategies that you can use in stressful situations. Talk therapy: It is important to choose a therapist that you trust to help you work through your phobia. Do You Have the Fear of Being Trapped?